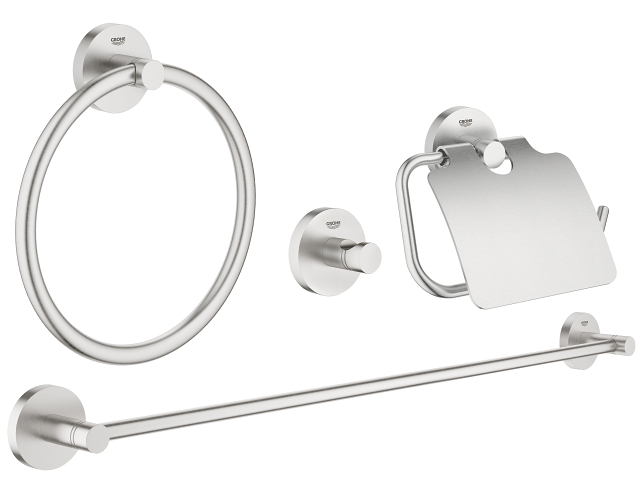 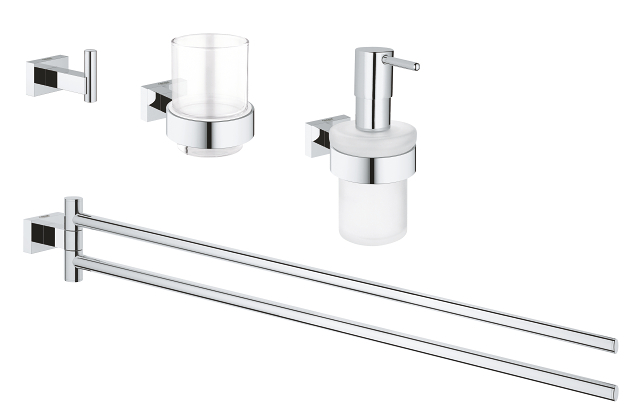 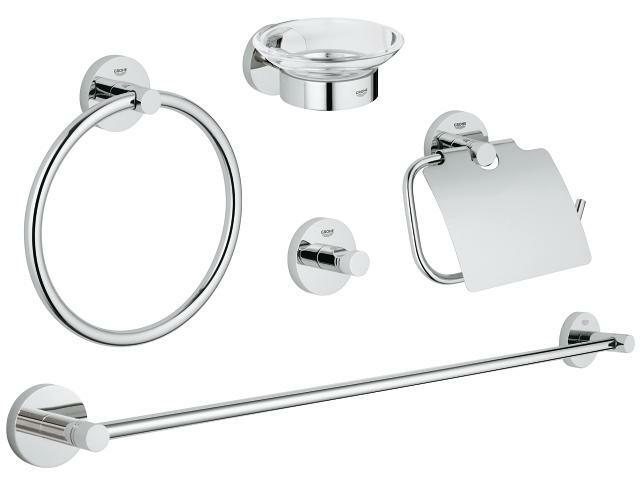 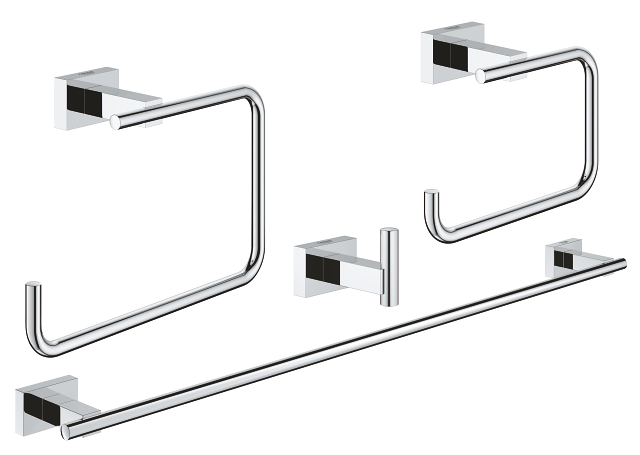 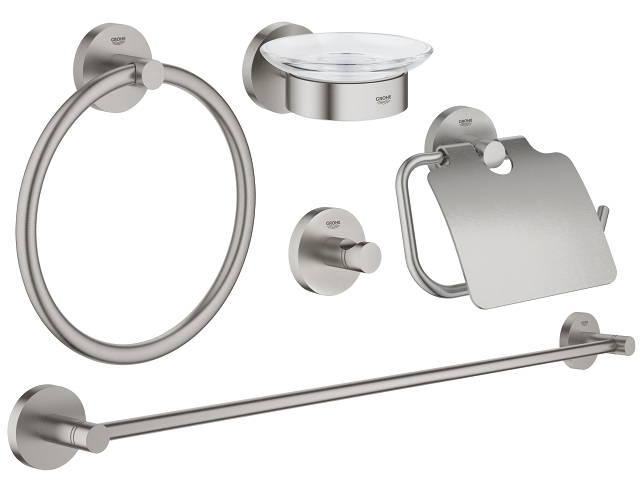 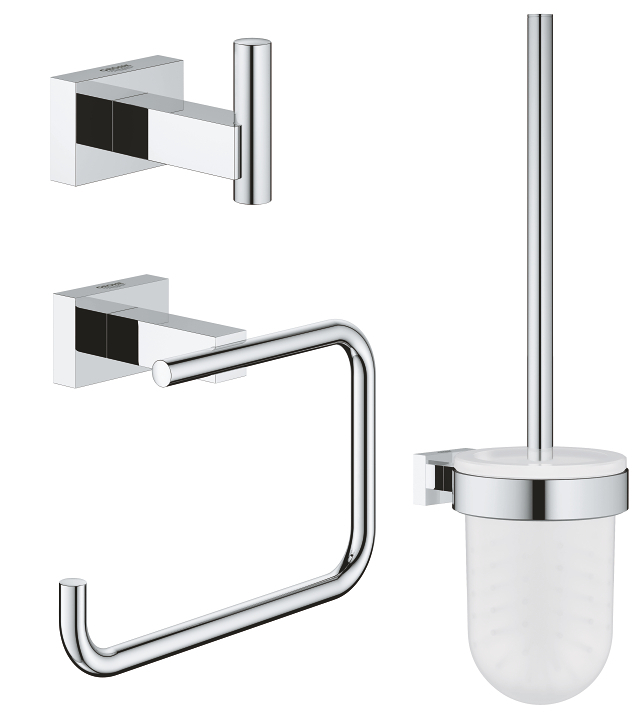 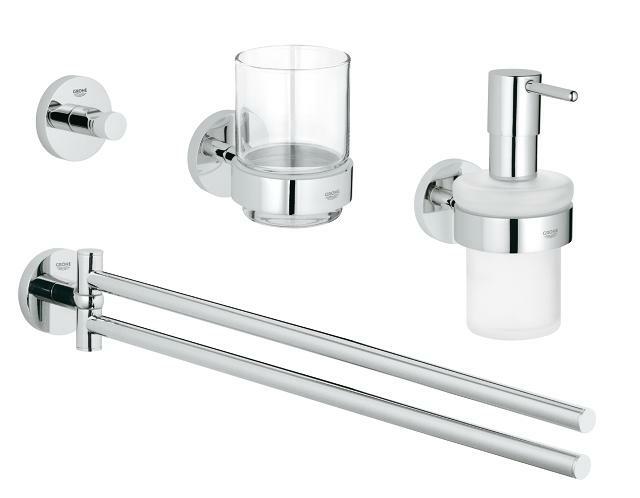 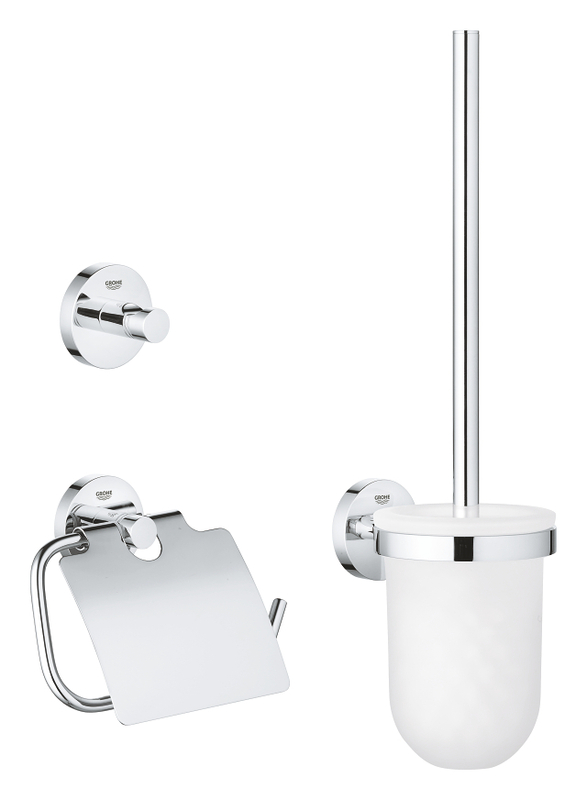 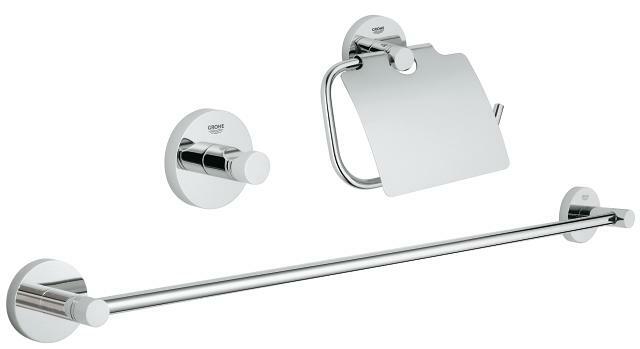 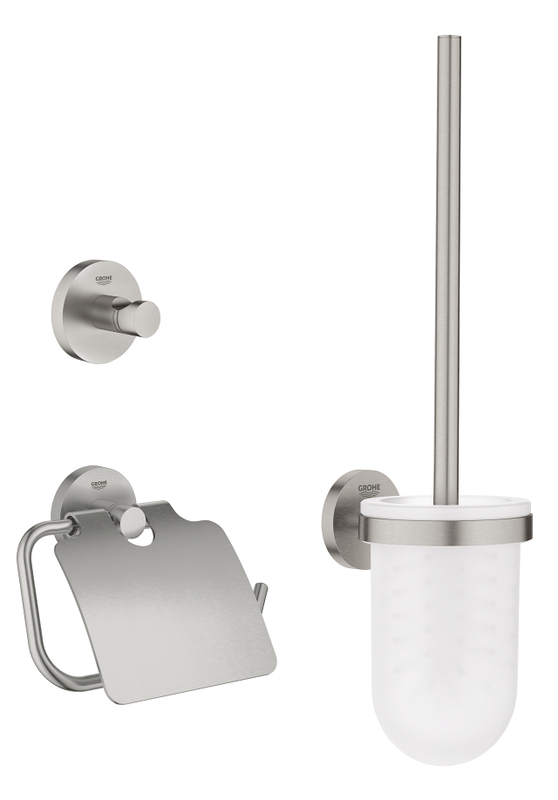 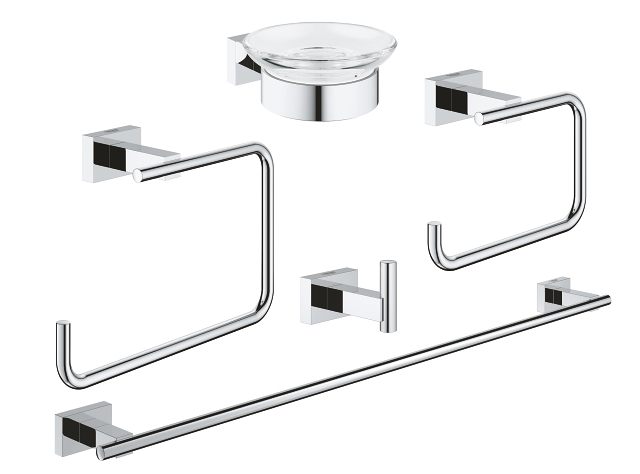 Comprising robe hook, toilet paper holder and 600-mm towel rail, this GROHE Essentials Cube accessory set finished in polished chrome is the perfect choice for your guest bathroom. 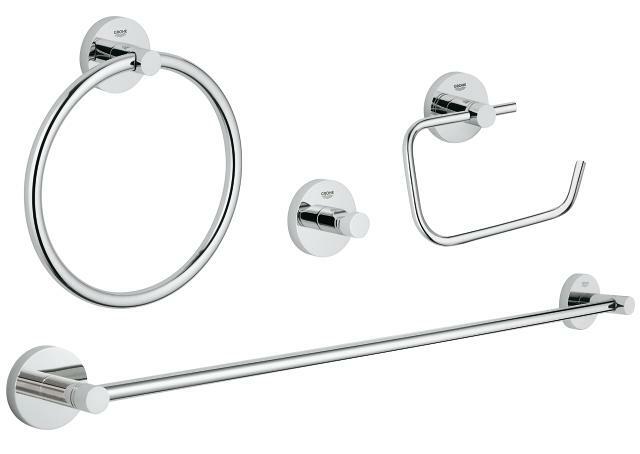 All pieces are crafted in a matching design combining a contemporary look and advanced engineering in premium quality. 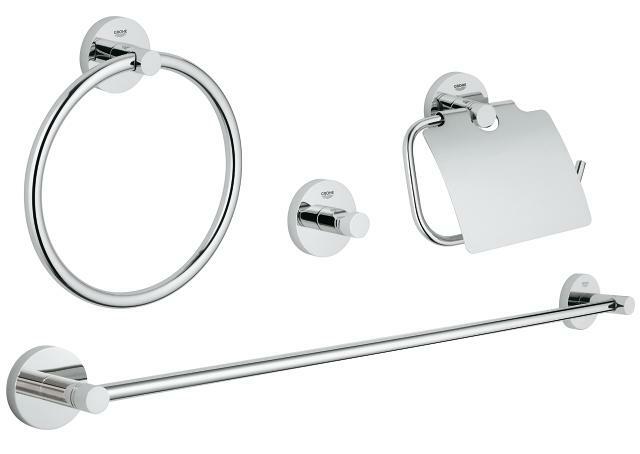 Give your bathroom a lift with this attractive three-piece set.